Hi My name is Tyrone and I just want to say how proud I am to be Hapa, or as we say it in Samoan, “Afakasi” (Half-Caste). My mum’s Samoan and Dad’s Indian from Fiji but my dad left when I was about 9 years old so my Samoan culture is all I have known throughout my life even before my dad left I grew up around my mum’s family. If you haven’t guessed but I’m really into my Samoan side and for those that don’t know, Samoans are Polynesians just like Hawaiians, Maoris and many more. Although it has taken me a long time but I have learned to accept my Indian side though I know nothing about that side of me. I love being Hapa because I like to see people guess what culture I am. I’ve gotten everything from Maori, Cook Islander, Tahitian, Hawaiian, Spanish, Mexican, Brazillian and other Hispanic cultures. You be the judge. I’m really glad that there are a whole lot of other Hapas out there that know what I’ve been through and I really hope that other people will come and share their stories as well. Hey Afakasi man i haven’t been on this for such a long time but that is so cool that your like me Poly/Indian and that is so cool that we even share the same stories cos i always thought i was the only one lol. But yes im definitely from New Zealand and you will find alot of us around here especially here where i stay which is South Auckland. They come in Samoan/Indian, Tongan/Indian, Maori/Indian. Cook Island/Indian and so on. and whats funny is that you commented on the day of my birthday haha. Hope we can keep in contact. As I read through I couldn’t help but be surprised at how almost identical your story is to mine. I’m Tongan/Indian, only know my Tongan side, have had an absent fijian-indian father throughout my whole life, and its taken me a really long time as well accepting my Indian side. 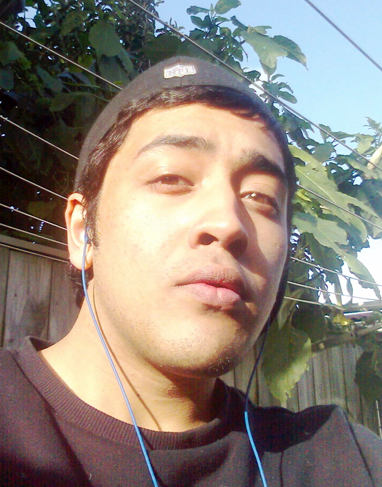 And now I can say that I’m proud too to be hapa :) I always buzz out when i find another polynesian/indian (which has happened maybe twice in my life lol) I’m curious to know what country you live in, New Zealand perhaps?